As the old saying goes, if you don’t like something, change it. If you can’t change it, change how you think about it. Some people love change. I mean, really love it. The fast pace, the uncertainty, the chance to problem solve and break new ground…they really, REALLY love it. In my experience, these people are few and far between. Most people hate change and just keep on hating it until they get used to the “new world.” Throughout my career, I have experienced change times three. Centralization, and de-centralization a year later. Focus on growth today, but tomorrow we’re going to shrink and focus on what we do best. Today, we are forging a new culture for Company X, but if you wait until next week (or maybe tomorrow), we’ll be right back to the way we’ve always done it. Real change takes time. Partly because fundamental change takes time to really take hold and be adopted fully. But part of the time it takes to change is really about getting people on board. The group driving the change needs to fully explain the new direction and why a new direction is needed, but individuals also have a responsibility to think differently about change. I think most people – myself included – need to see change as an opportunity…a good thing. And only individuals can change their own mindset. How do you view change? 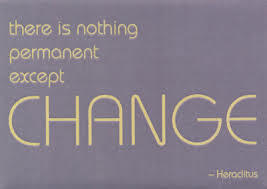 When you are faced with change, what is your reaction? 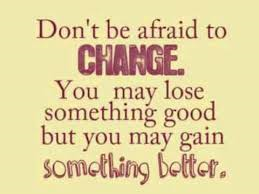 How could you look at change differently? We all need to find our way through the maze of change we face. Because nothing endures but change. So when change becomes too much, and we think we can’t do it, we need to learn how to take a different approach…change how we think about. As the New Year approaches, the world begins to think of fresh starts, of new beginnings, of New Year’s Resolutions. 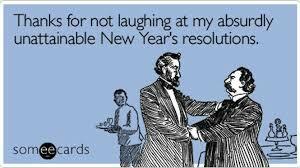 I’ve never been a big believer in New Year’s Resolutions. From what I could see, most New Year’s Resolutions are broken within the first week or month. Legendary jokes are made about it. I certainly broke my resolutions – when I made them – pretty quickly. But this year is different (do I hear laughter?). I think I better understand what resolutions are really about. It’s not necessarily about the success. It’s not really about being the most organized person on the planet. It’s not really about becoming a hard body. And it’s not really reaching an ideal of becoming whatever your idea of perfect is. Resolutions are about the intentions. At some point, I realized that my youthful metabolism left me, and Cheetos and Coke were no longer a diet I could stick with…unless I wanted to keep putting weight on and buying new clothes. So I resolved to lose weight and get back to where I was when I was 25 years old. A bit of a stretch, given the fact that I was definitely well beyond that age. It all started out fine…I tried to take a very sensible approach (again, being well beyond 25 years old). I began to exercise (a little) and started really paying attention to what I was eating. More fruits and vegetables and less (sniff) Cheetos. And it began to work. I lost weight and had to buy new clothes, in a smaller size this time. And then the resolution broke. And I leveled off, five pounds short of my goal, which left me angry and frustrated and sad. But then I thought more about it…while I didn’t reach the ultimate – and somewhat unattainable – goal, I did lose weight. And more importantly, I felt better…in fact, the best that I had in years…probably since I was 25 years old. It made me realize that when we think of these resolutions, we often set the bar too high. When I started this blog, I set a goal to post twice a week…forever. Well, clearly that hasn’t worked out. But now my intention is to continue to post as often as I can. And that’s ok. I enjoy writing and so I will continue to do it whenever I can. But I’m to going to hold myself to an unattainable standard that simply adds pressure. There is enough pressure in my life on the things I have to do. I don’t want pressure to ruin the things I want to do. So for those of you that want to set New Year’s Resolutions, I wish you strength and luck! For me, I am setting intentions to keep my weight, health and energy level as it is now, continue to write as much as I enjoy it and the muse moves me, and to enjoy as much of life as I can. And finish binge watching “Once Upon a Time.” After all, a girl’s got to have a goal. 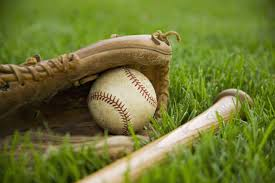 For years, I have spent most summer weekends (and many a summer evening) sitting on bleachers cheering on my Boys of Summer. It started with my husband, who played in a 12-inch softball league. Many of our “dates” consisted of me on the bleachers cheering him on and waiting for the game to end so we could go get something to eat and maybe see a movie. For a couple of years, summer meant saying good-bye to my husband in May, as we split the kids…him taking our daughter since he was one of her softball team’s coaches, and me taking our son since…well…I was the only option left with a driver’s license and a credit card. And I can cheer the team on pretty well from the bleachers, having already gain extensive experience at this point. When my daughter threw in the towel on travel softball (and the possibility of a sports scholarship…sigh…but that’s a story for another day), we all focused on The Boy’s travel team. And continue to spend every weekend at tournaments. Now it may sound at this point like I’m not happy with the Boys of Summer. Which is untrue. There are a number of upsides to being a baseball mom. 1) I get a killer tan every year. I actually had a woman compliment me on my tan not long ago…and it’s still early in the season! 2) It’s nice to spread vacation across a number of quick weekend trips and see a little of the Midwest. On a recent weekend, I got to walk around the College of St. Mary’s campus…beautiful architecture and landscaping. 3) It’s a great opportunity to spend time with the kids and hang out with friends, while playing Bags. Hard to beat a relaxing evening spent that way. But having spent so many years on the bleachers, it can start to pall. At some point in the season, I start to lose interest a bit and I start to get up from the bleachers to wander around earlier and earlier in each game. I also start to look for reasons to not attend. But when I start to feel that way, I remind myself that, some day, I will be sad when we no longer have games to go to. And, of course, I will need to figure out a new way to get my tan when the Boys of Summer are gone. I recently read something: The only difference between a rut and a grave is their dimensions. If people equate change with death, no wonder they fear it. I won’t lie; I’m not always a fan of change. I don’t like it when my grocery store stops selling my favorite brand of coffee and I have to find a new one (new coffee, not grocery store). I don’t like it when they move my favorite TV show to a new night (usually a sign that the end is nigh). These are small changes and an annoyance, but I complain for a while and then deal with it. Bigger changes are harder. Life-changing events can be good or bad but difficult either way. Moving to a new home is exciting but exhausting. Welcoming a new baby is exhilarating but even more exhausting. 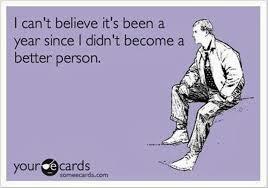 I’ve had a number of life changes in the last several years. My daughter going away to college was a big change, and definitely hard. My son getting his driver’s license was a big change. I was supposed to somehow relinquish control in a big way, but it is nice that I don’t have to drive him to those early morning baseball practices anymore. Losing my job was hard, but I was in a rut, so I was able to see that change as a good one. It forced me out of the rut…that did feel like a grave on some days…and made me embrace the change. Throughout these changes, I’ve look at each as an opportunity to take back control. I am now in a position to determine how I want to change my life and control my own destiny. And it feels good. How do you master Change, rather than be its victim?